Reviews of the Samsung MV800 from around the web. The Samsung MV800 takes a unique approach to compact camera design, offering a rear screen that can be pulled away from the body to aid a range of shooting angles, including self-portraits. Is this just a gimmick or a breakthrough in compact camera design? 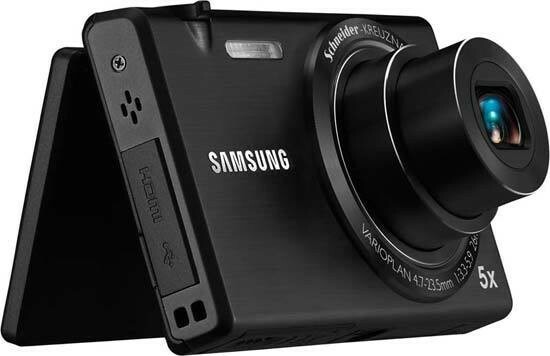 The Samsung MultiView MV800 is a new compact camera with a large touch screen that swivels over the top of the camera and has a rear shutter button giving you the ability to take self portraits and other shots from creative angles. The MV800 is available in black, with red and white versions coming soon, for £199.00.